The gasket was OEM but should have come with the carburetor when I bought it. Carburetor Gasket was a perfect fit and equipment is now back in service. 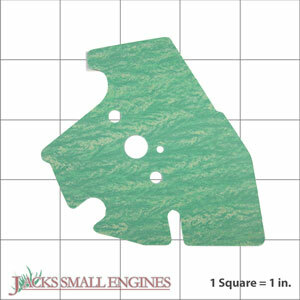 Ask us about the Honda 16221Z0H000 Carburetor Gasket. Please no repair questions. Your Q&A may be posted to Jackssmallengines.com to help other shoppers, like you, with their purchasing decisions. Thank you.